Need to make the most of your time on social media? 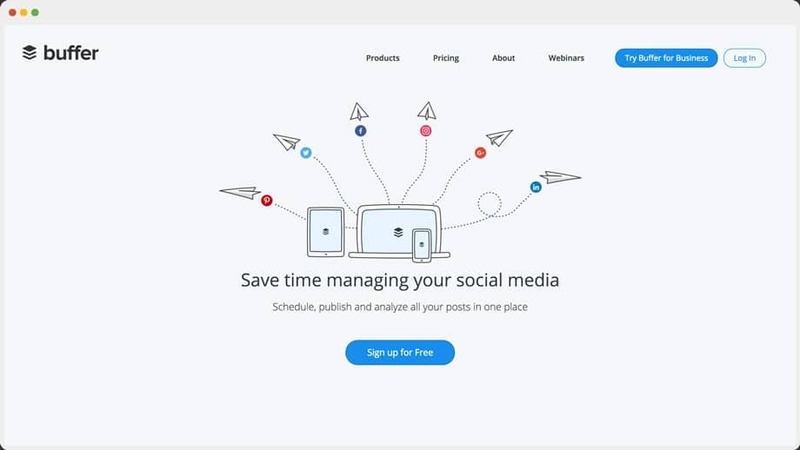 These tools are the best of the best for social media management, planning, and posting. If you’re like most people trying to grow your personal brand or business on social media, you’ve got your work cut out for you. It’s likely you’ve got a Facebook page, Twitter profile, Instagram account, Pinterest account, Linked In profile, and (if you’re really savvy) a Google+ page and/or profile. And if you’re completely crazy, you may also be on YouTube, Periscope, Ello, Vimeo, and Snapchat. That’s a lot of social media to manage and create content for. How the heck can you possibly be effective with all of that? Well, the truth is most people are not effective with it. Mostly because they don’t have a strategy in place— but that’s another blog post altogether. I want to give you my insight on the best social media management tools to help you streamline your planning, scheduling, and posting. I’ve used dozens of social media management tools over the years, and there are plenty of lackluster, come-and-go tools that are just a waste of time and energy. This post is not going to waste your time on every tool available. I don’t find that kind of “all the things” post helpful, do you? Since there are many categories of social media apps and tools that accomplish a wide range of things like analysis, curation, artificial intelligence, and other super-cool jobs to help you do more with less effort, I’m going to narrow things down. What I have below are the tools that not only get the job done but are going to be around for a long time to come. Until recently, Agorapulse was not even on my radar for tools to try out. It wasn’t until earlier this year at Social Media Marketing World that my good friend Mike Allton convinced me to give it a look. After only 30-seconds of using the web app, I was in love. Not only is the interface drop-dead gorgeous, but it also has almost everything I could want out of a social media management tool and more. And let me just say, as someone who lives inside digital apps and interfaces all day long, UI/UX is one of the biggest selling points for me. If I don’t love using and interacting with the interface, I won’t do it. SaaS companies should take that to heart. It seriously does so much; I don’t think I’ve even tapped the surface yet of what it’s capable of. For the sake of this article, however, I’m going to stick strictly to the publishing, scheduling, and management of social media content. Now, notably missing from the list is one of my most important social channels, Pinterest. Although my Pinterest marketing strategy is essential to my blog, it was not a deal breaker for Agorapulse to have it (mostly because of Tailwind, which I’ll talk about later in this post). However, the Agorapulse team has assured me they are very close to releasing Pinterest support soon. Now, when it comes to scheduling and sharing content, you have a few options. This is where I spend most of my time managing things in Agorapulse. As I said before, it’s a gorgeous interface that makes the work much easier. Simply click on the “Publish” button, and you’ll get a pop-up window in which you can select your profile(s) that you want to share to. Create your content in the middle section of the window which will then apply to all the social profiles you have selected. You can then customize each network’s message by clicking on its icon in the far-right box to customize your message for that platform. 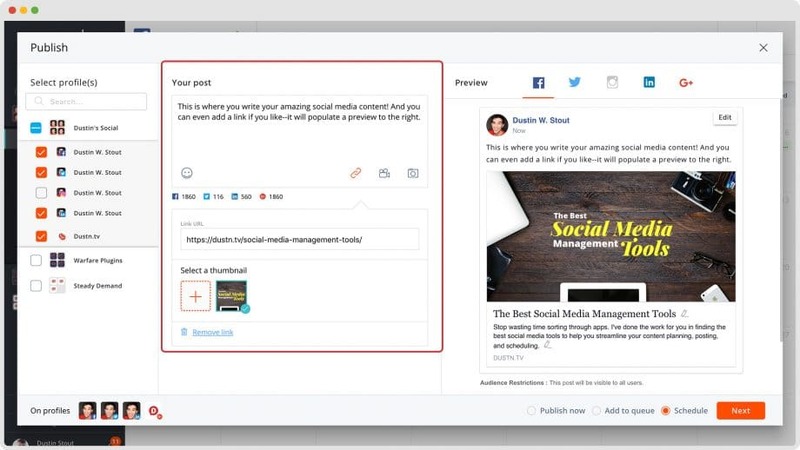 Publish now: this would send your post straight to the social networks you’ve selected immediately. Add to queue: this would add your posts to the “Queue” you would have created in your settings for each profile (more on this later). Schedule: this allows you to pick a specific date and time in which you want this content shared. Once you’ve selected how you want to proceed, you can hit the “Next” button to get some final options based on what posting method you’ve chosen. No matter what posting option you choose, you will have the ability to tell the app to schedule these posts once or have them automatically scheduled multiple times. This is one of the most valuable features, IMO. Since I’m promoting a lot of my own blog posts, it’s valuable to me to be able to create the social media message once and have it automatically sent out regularly on a pre-determined schedule. Agorapulse makes that very easy and intuitive, also helping you to ensure it’s not shared too frequently. Now, when you’re surfing the internet (do people still say that?) sometimes you land on an article that you want to share right then and there, without having to jump to another browser tab. That’s where the Agorapulse browser extension comes in. Just one click gives you the same pop-up window as the web app where it will automatically copy/paste the URL of the article you’re reading. It will also copy/paste any text you’ve highlighted before clicking the extension icon. This makes sharing any web page fast and easy. For those of you who are constantly on the run, and need to share things from your smartphone, AP has you covered. Visual Calendar: view all your published content (along with performance stats) as well as scheduled/queued content in one visual calendar. Label your content: if you want to be able to categorize your content and see how each category performs, AP allows you to do this. Tag other profiles/pages: when composing your content, AP has integration with Twitter and Facebook which allows you to properly (with autocomplete assistance) tag other profiles/pages when appropriate. With all that said, Agorapulse has now become my number-one tool for posting, scheduling, and analyzing my social media content. Not only do you get a wide range of social account options, but the user interface is beautiful. Next to Agorapulse, Buffer has the most beautiful user interface. It’s a bit more minimalistic than Agorapulse, but that mostly because there are fewer things it does. Using Buffer, you can schedule posts to your social networks one at a time or simultaneously. 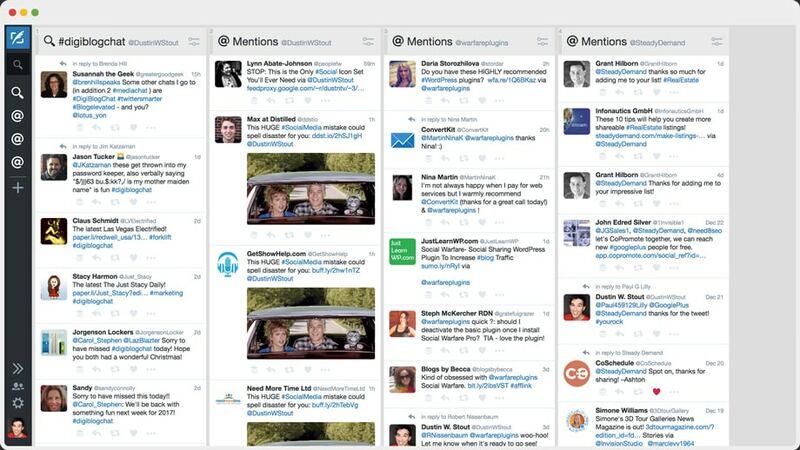 This is a big help for those of us managing multiple accounts and brands. Additionally, they have a browser extension that makes sharing any web page super easy. Nearly all of the tools listed in this article have browser extensions, but Buffer seems to have perfected the workflow and execution of theirs while the others seem to be a bit more cumbersome, especially if you’re managing multiple social media channels and want to customize your messages for each one. If you are a Buffer user and you’re not using the browser extension, I don’t know what you’re doing with your life. Get it! They also have great smartphone apps for both iOS and Android for scheduling on the go. On top of its powerful scheduling tools, Buffer also has some incredibly powerful analytics that will allow you to keep track of key social growth metrics. Additionally, Buffer gives you another feature called Content Inbox where you can add your favorite RSS feeds. This means that any time a new blog post is published to the feeds you are following, they will appear in this section for easy viewing and sharing to your Buffer queue. The last thing I’ll note about Buffer is that it also has collaborative capabilities. So, if you’re working with a team and have multiple team members working on the same account contributing content, you’ll love their team features. Buffer allows you to manage team members with specific roles: Content Contributor or Content Manager. The account Owner and Content Managers can publish posts at any time while the Content Contributor’s posts get added to a For Review tab where they need to be approved before getting added to the queue. Now, the downfall of Buffer as a full social media management solution is that they don’t have an “inbox” of where you can easily see all your notifications or brand mentions within the app. 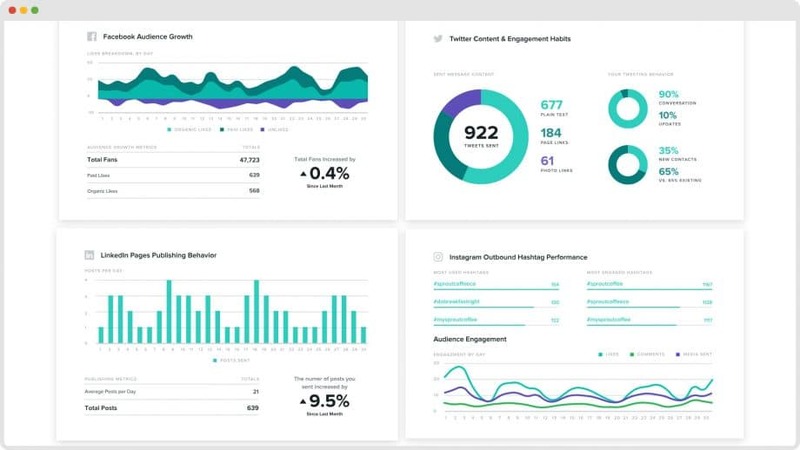 Buffer is simply a scheduling and analytics tool for social media managers. However, Buffer has recently gotten into the social inbox game with their new tool, Respond. Since it’s a separate app, I don’t find myself using it much as it’s one more thing to log into. As crazy as it sounds, I actually prefer doing my engagement and responding in the native social network interfaces. All around, Buffer allows you to perform the most arduous part of maintaining a consistent social presence across multiple accounts, networks, and brands—that is the scheduling of content. And it does so in the simplest way possible. 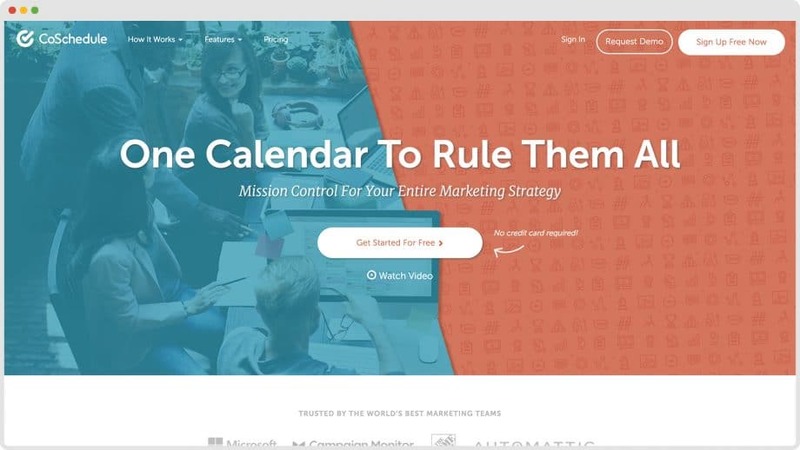 I’ve talked before about how great CoSchedule is as a content marketing calendar. I’ve even written extensively about why it is a non-negotiable tool for my editorial strategy. 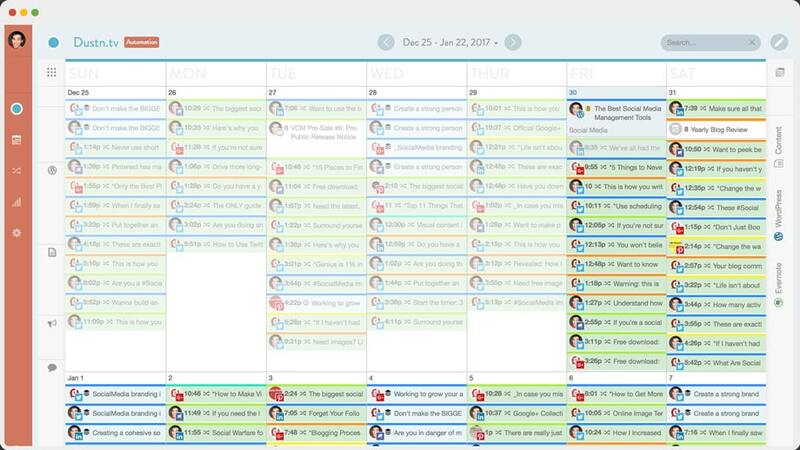 But even if you didn’t need it for this purpose, it also works as a fantastic social media management calendar! Now, why is adding a Tumblr blog such a big deal? Well, in case you weren’t aware, Tumblr is great for both social media marketing and SEO according to Moz! So adding it to your account is a definite must– even if you’re not putting a lot of time and energy into it. It’s also worth noting that if you are a Buffer user as well, you can connect your accounts so that scheduling in CoSchedule will add to your Buffer queues. For someone like me who likes to keep everything in one place as much as possible, this is super cool. Their user interface is also beautiful and lays everything out on a calendar interface so you can see the exact distribution of your posts. You can color-code your scheduled posts as well. This makes it possible to decide which colors represent certain types of content you are sharing so you can be sure you’re getting a good mix going. 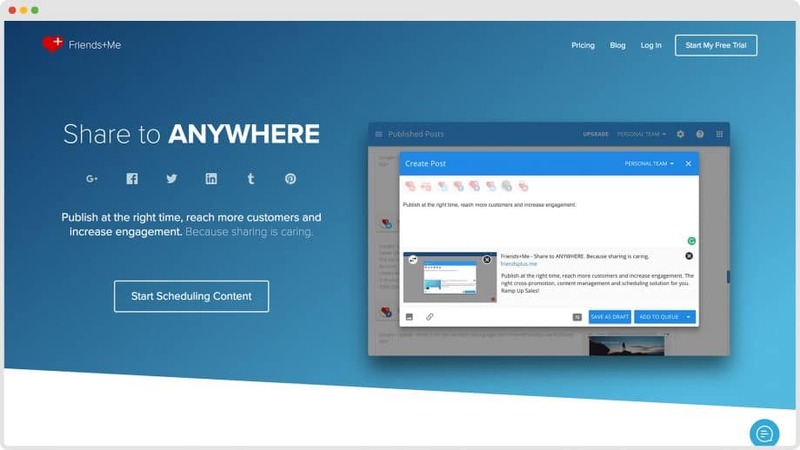 The big bonus here is that CoSchedule also connects to WordPress and if you’re using a tool to schedule your own content on social media, you have direct access to it right from within the app. 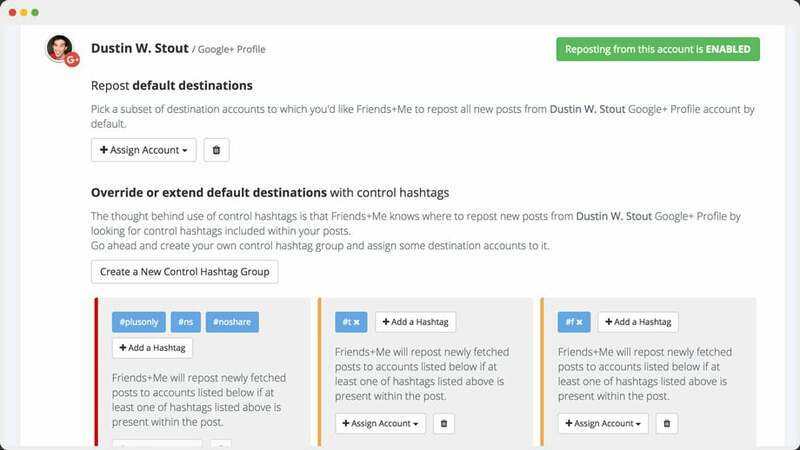 And now with CoSchedules Social Templates and ReQueue features, you can bet that this may soon be the one social media management tool to rule them all—especially for those who have WordPress blogs. I’d be remiss if I didn’t mention briefly what those two features do. Social Templates allow you create a templated sharing schedule for all your social networks when you have a new piece of content to share. Using their Social Helpers, you can instantly populate an unlimited number of pre-scheduled messages with placeholders. ReQueue is basically the best thing that’s happened to my social media management in a long time. You can mark any post you share through CoSchedule to be added to your ReQueue and CoSchedule will automagically re-promote your best posts on a recurring basis, finding the best timing and spacing (to not be sharing the same things too frequently). This makes your evergreen content take on a life of its own. 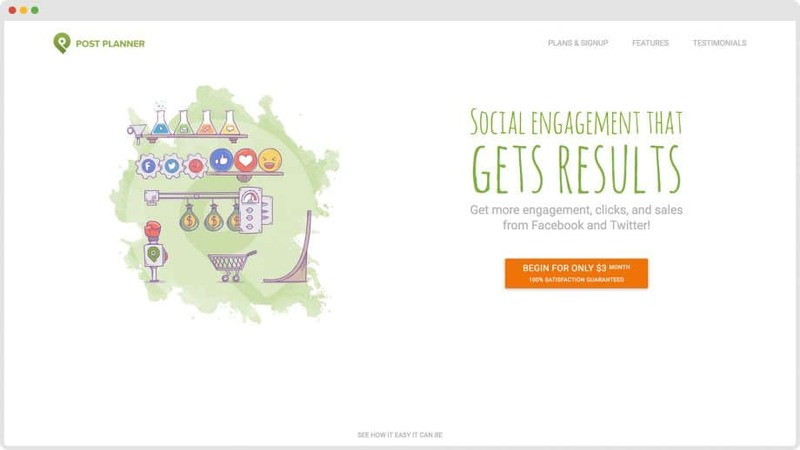 When it comes to enterprise-level social media management, Sprout Social is a favorite. When you dive into the laundry list of features that are offered, you can quickly see why it is far more attractive to enterprises. What Sprout offers that the previous options do not is a central hub in which to manage both publishing and monitoring. You can also use sprout to respond to comments, which is a significant value-add for many teams who want everything in one place. The ability to assign tasks and collaborate inside of the Sprout Social dashboard really makes it the most comprehensive and easy-to-use tool for teams. 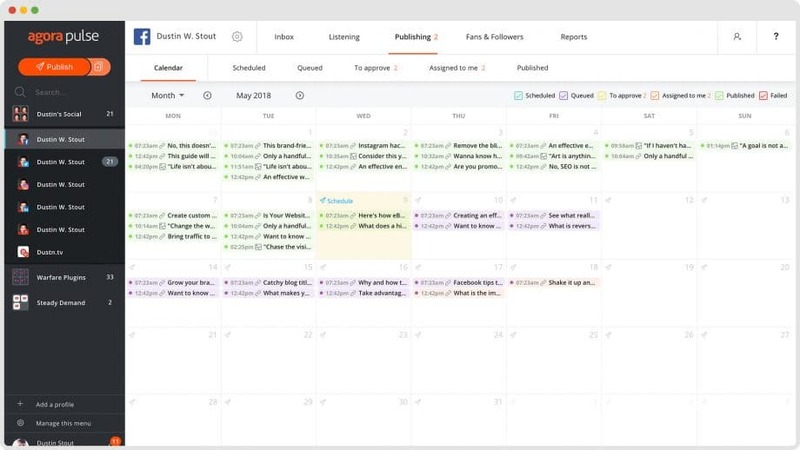 Like CoSchedule, you also can see everything in a calendar view and tag social posts with specific categories. You can then easily see what your spread of messages and message categories are at a glance. 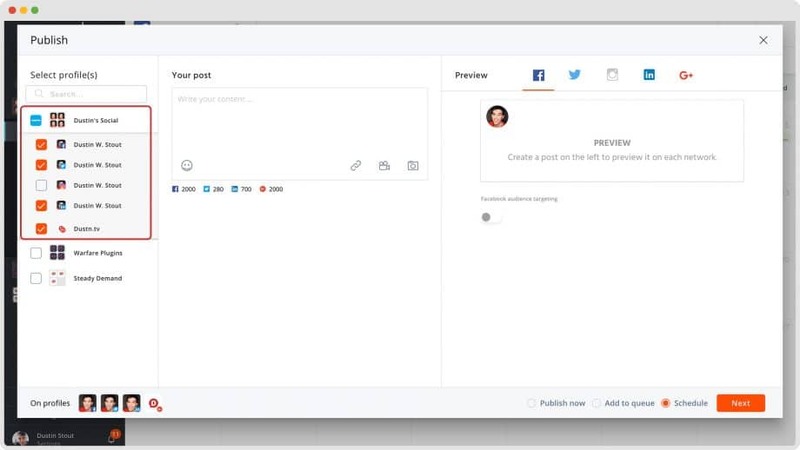 When it comes to content curation, like Buffer’s Content Inbox, Sprout has an RSS integration that allows you to connect your Feedly account. 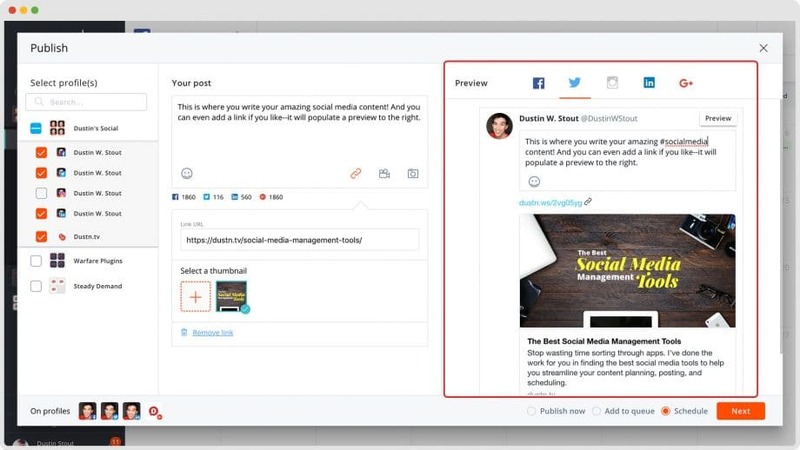 This means if you’re utilizing Feedly as a content curation tool, you can now pull it right into your social media management dashboard and do it all from one place. 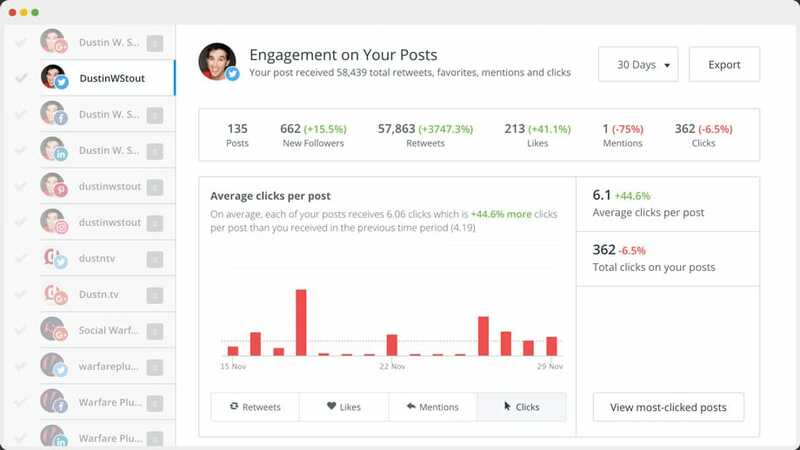 Sprouts analytics tools are a big allure for many social media marketers because they’re beautifully designed and easy to export presentation-ready reports. Seriously, these reports are gorgeous. Their reports can also integrate with Google Analytics, making their reporting and analytics product second to none, in my humble opinion. The scope of what Sprout Social is capable of can be truly daunting. It does so much that your head will spin trying to take it all in. This is why I wouldn’t recommend Sprout for the newbie. However, if you’re a seasoned social media pro and you’re working with a team, it’s definitely worth looking into. For the Google+ power users out there, there is no better social media posting tool than Friends+Me. The reason for this is because it was a tool built for Google+ first, with all other networks as the secondary. I’ve not seen any other tool able to post to Google+ Collections and Communities. If you’re a heavy Google+ user, there’s no better tool. Another feature that Friends+Me has that I haven’t seen in any other app is the ability to set up custom rerouting for your accounts. For example, if you wanted to just post to Google+ and have those posts automatically cross-posted to your other social accounts, you can set up rules and hashtag triggers to make that happen. I’ve had the pleasure of seeing this app from its early days and have seen the founder, Alois Belska, do amazing things with it. It’s super cool to see this indy app become such a powerhouse tool. Although Hootsuite was one of the first big social media management tools on the market, it has not been a part of my workflow for years. While it covers a handful of important social media management tasks and desirable features, they’ve sorely lacked the ability to execute on a good user experience. As I mentioned above, if a user interface isn’t pleasant to use, I’m not going to use it. This is the biggest reason I’ve not interacted with Hootsuite in years. However, it continues to be a go-to tool for many professionals, and there’s good reason why. Hootsuite allows two additional channels that none of the other tools thus far have included: WordPress.com blogs and YouTube channels. 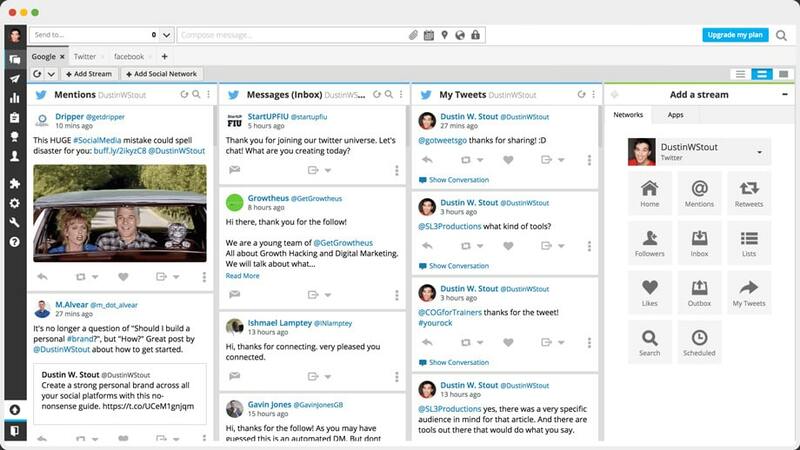 With Hootsuite the big draw is that it serves as both publishing tool and central hub for monitoring and replying to social mentions and comments. 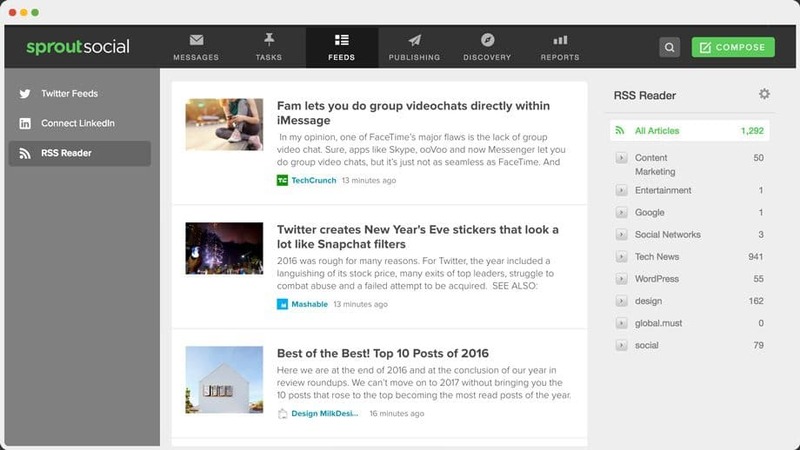 Their streams view allows you to create columns that feed in your social streams from different networks. 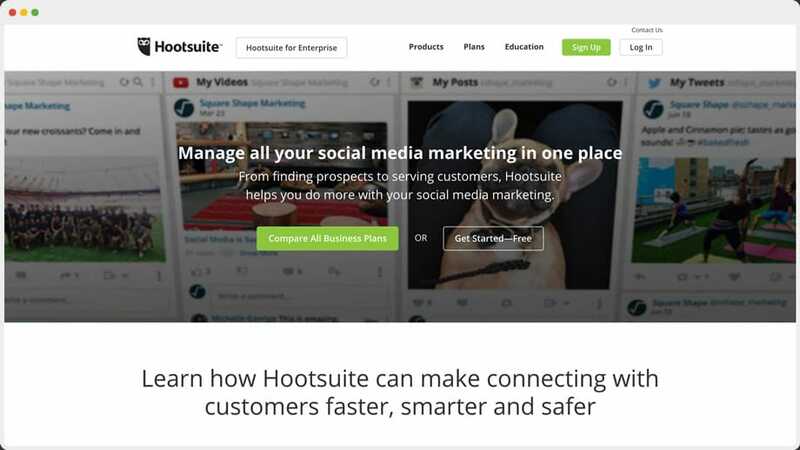 For the people who love Hootsuite, the streams seem to be the primary reason for their use. You can create streams for things you want to monitor such as mentions, comments, your own posts, your scheduled posts, specific search terms on a given social network, and much more. I’ve categorized the following apps and tools under “Specialty” because they have a more limited focus or are limited in the social networks they can help manage. 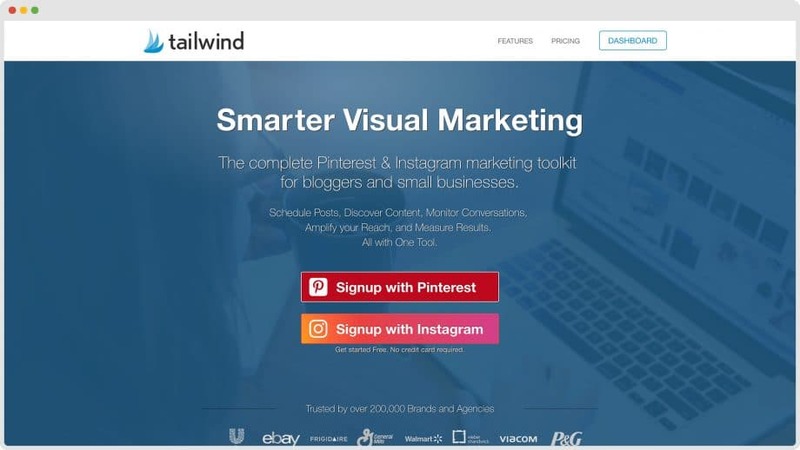 If you have a strong emphasis on Pinterest (which I highly encourage) then you will want to add Tailwind to your social media toolbox. Their app is second to none when it comes to gaining insights as well as creating, curating, scheduling and posting content on Pinterest. They now support Instagram scheduling as well. But the real power in this tool is the ability to deliver high-level Pinterest analytics, pull in pins that others have posted from your domain, and perform actions based on these things. It really is a power-house Pinterest tool. Now, I will say that the user interface could use some serious work. But if you’re not overly sensitive (like I am) to UI, then you won’t even notice it because the utility it provides is overwhelmingly good. Additionally, they have a feature they call “Tribes” which are groups you can create or join with other Pinners who share things similar to you and you can share each other’s pins. This adds a layer of collaborative amplification that no other tool on this list has. It’s extremely valuable. Now, Post Planner is probably the most unique of all the tools on this list. While it is limited to only being able to manage Twitter (profiles) and Facebook (profiles, pages, groups) the real value it adds is in the area of helping you find and post the best possible content. The folks at Post Planner have been digging through Facebook and Twitter’s most successful posts and creating a system for discovering and ranking content. They then give you the ability to take advantage of their data and share posts that have proven to generate the most traction. Like Buffer, you can create a schedule and add posts to your Plan (what Buffer calls a queue) and have them automatically go out according to that predetermined schedule. You can also create multiple plans and assign specific types of content–links, images, and text posts–to each plan. 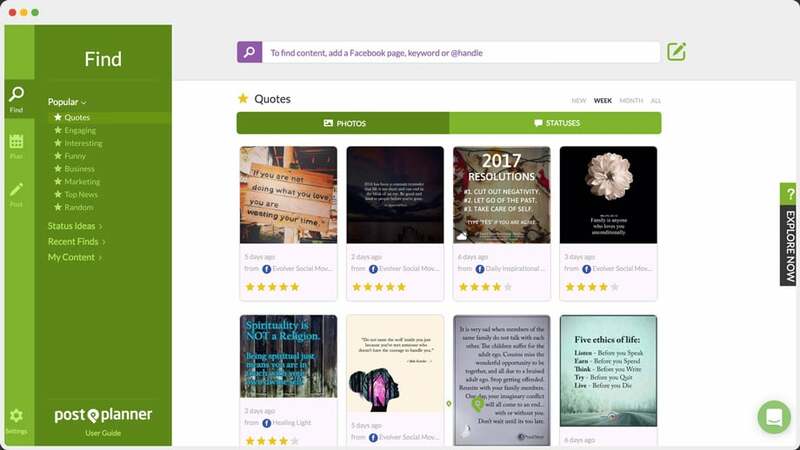 If content curation is a heavy emphasis for you and you would like some help in discovering the most popular/successful content to curate, Post Planner is definitely the tool you want in your arsenal. 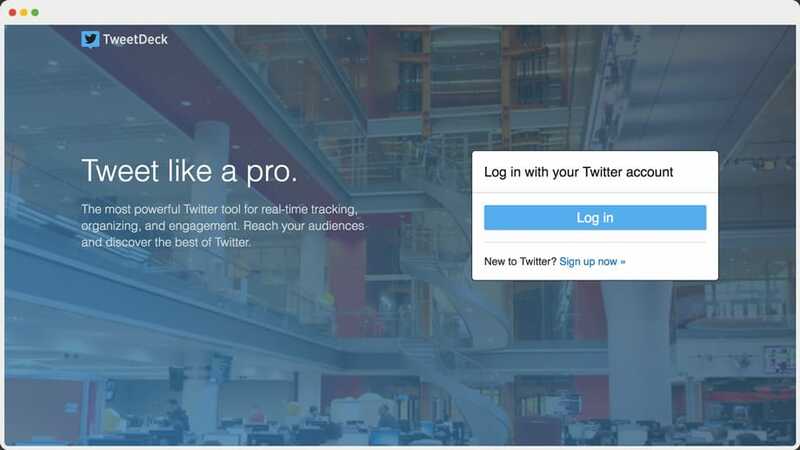 If you like the idea of having multiple streams of social media messages all in one view but only for Twitter–TweetDeck is probably a good tool for you. This app is owned by Twitter and allows you to easily manage multiple Twitter accounts from one app. You can monitor and reply to mentions and messages as any of your connected profiles. You can also schedule posts to be tweeted at specific times. Personally, I like using TweetDeck for Twitter Chats because you can create a stream for the chat’s hashtag and have it right next to a stream of your @mentions to make sure you don’t miss out on anything important. Social media management can be a difficult task. Having tools help, but having the right tools for the right job will make a world of difference. Hopefully, you’ve found a few here that will help you in your efforts to streamline your social media efforts. 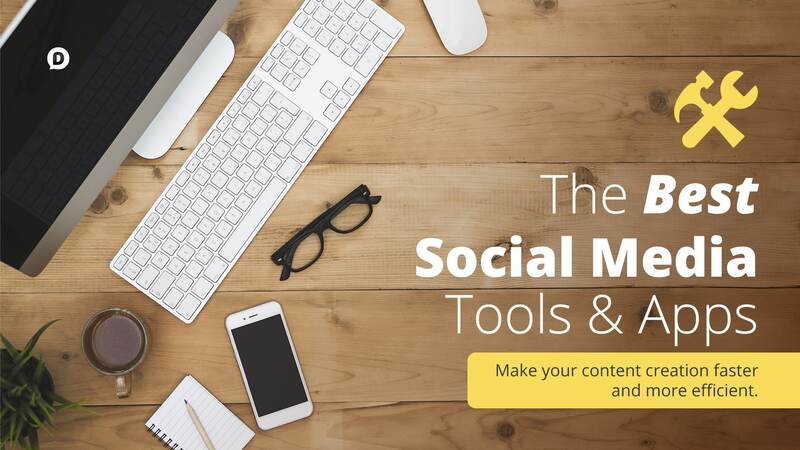 Which social media management tool is your favorite? Did I leave yours out? You can leave a comment by clicking here. Feature image via Twin Designs on Shutterstock. I’ve been using CoSchedule for both work and my nonprofit and I absolutely love it because it’s so much more than social media. I am able to plan out all my marketing campaigns in one calendar, schedule social media and blog posts / article, do press releases, plan out our advertising, and so much more. It’s been worth the cost and then some! I personally use eClincher for all my agency needs, used HootSuite before but it was a bit pricey for white label/agency. I am using Hootsuite, it is great tool for management social account. I also found more tool after reading your post. Amazing collection tools ???? thank you for the great tool list. Your reviews summarize the advantages and disadvantages of each tool in a way that I think everyone will find the perfect tool for his SoMe efforts. Another tool I can recommend to you is called Blog2Social. Its an automation tool, you can use as WP-plugin or Browser App. You can have a look at the plugin by testing it for free. What I like about the B2S tool is that it offers a very handy scheduling calender and best time to post setting etc.. Everyone who wants to easily promote his/her blog should try the trial. I really like your article @Dustin, very informative article but here you didn’t mentioned social champ. I want to add my opinion I prefer socialchamp. Social Champ has very impressive feature more interesting is recycling post which helps me in gaining more generic traffic , also it has team feature so i can share my account with other team member so that they can easily manage my social accounts I recommend you to try it must you can feel difference on your self and also its 14 days trail version is free! Hi Allison. So, I looked at Social Champ and I just wasn’t impressed. When I compared it to the other tools I have listed here, I didn’t see any compelling differentiator, and on top of that the interface just wasn’t that great. For me, it always comes down to UI/UX because if it’s a poor user experience, I’m not going to enjoy using it. But everyone responds and works differently to different types of interfaces, and I’m sure Social Champ works for you. Nice list of social media tools! I would like to recommend SocialPilot for scheduling post across more than 7 networks including Google+. It allows you to post on profiles, pages and collections. Really, It’s a user-friendly and affordable tool compared to all others tools. 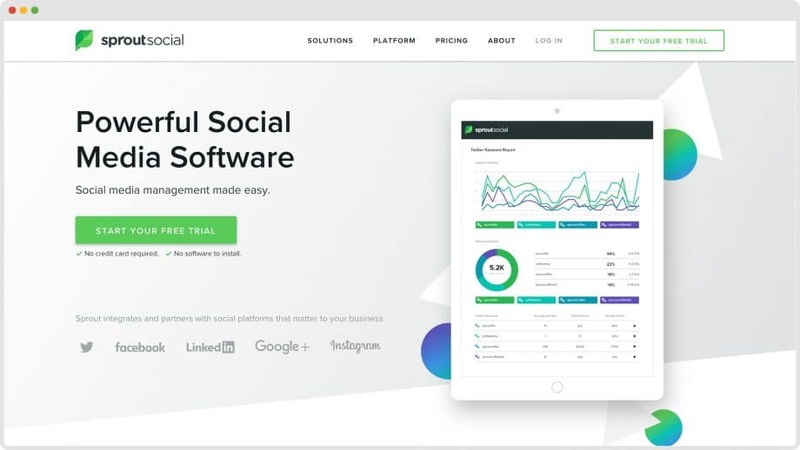 I switched from Edgar and eClincher to now SocialPilot because it’s way more affordable, and it essentially does the same thing as the former social media services. I used to use CoSchedule, but it too became too expensive, especially because I’m trying to maintain two blogs. If I start making more of my blogs, I’d like to use CoSchedule again. You’re very welcome Mish! Measuring the direct ROI of Social Media is tricky. However, I wrote an article for our Warfare Plugins blog titled How to Measure Social Media ROI Using Google Analytics and that might be a great start for you to look at. 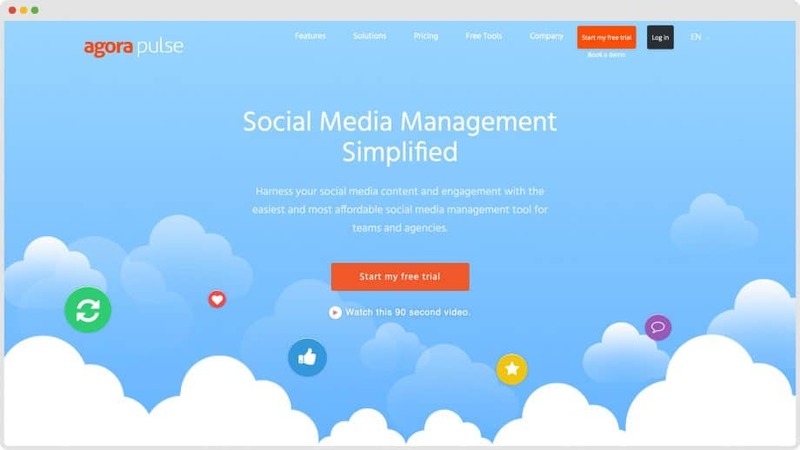 Great post on social media management tools. I have to say, that I tend not to be a big fan of them – and with Facebook you get penalized for using them, so I just stay away from them in general. Yes, it eats up a little extra time posting straight from the platform, but I find it does help the engagement. On the flip side, sometimes they really are a necessary evil… I think my lucky stars for them every long weekend! You know, I’m pretty sure Facebook has stopped penalizing for using 3rd party apps. I’ll have to ask Dennis Yu, but I’m 99% sure that has been put to rest. Interesting list of tools Dustin. Have you checked out Edgar and Promo Republic? Promo Republic seems to be very buffery but also has suggested content based on calendar events (I.e. International burger day), Edgar also seemes like buffer but you put in some of your top content in different catagories (such as quote, discussion starters, top posts, calls to action) and Edgar claims to spread them out and cycle through that content, in theory giving you a good balance of content over time. It could be a great way to manage evergreen content (a bit like requeue from coschedule). I’ve used both buffer and coschedule and although I really really like coschedule, I think I’d settle with buffer if I had to choose one. I’m certainly going to check out some of these other tools though. Yes, I tried out Edgar when they first released their beta version. At the time, it didn’t suit my needs and I never ended up going with the paid version they released. I hear it’s become a really great tool–Dave Shrein swears by it. I just haven’t played with it personally. I’ve never heard of Promo Republic though. What a great list, Dustin! We use most of these tools ourselves – they really do make life so much easier! And it’s so fantastic to see Post Planner included!!! Happy 2017! MavSocial is a social media visual content management & publishing platform – it enables you to store and manage all your approved consistent digital content which can then be easily accessed and shared, access to over 100m stock images, campaign management, support for Facebook, Twitter, Linkedin, YouTube, Tumblr & Instagram, repeat publishing of evergreen content, centralized social inbox, reporting, teams and brand management. And in 2017 lots of new goodies being introduced! You know, it’s really tough leaving things out of lists like this Chris. There are so many tools out there that do a great job for many people. I’ve resolved to only list and recommend tools I have experience with and unfortunately I just never tried MavSocial. Appreciate you taking the time to comment and further the conversation though, giving folks one more tool to take a look at.